I’ve spoken in a few posts about my role as OTAC representative for the student body at various external events, but have yet to touch my role the executive board of OTSC. OTSC stands for Occupational Therapy and Science Council, and is a student organization that has a significant influence on the extracurricular lives of students in the Chan Division. ALL students are stakeholders in the OTSC organization and welcome to attend monthly meetings. 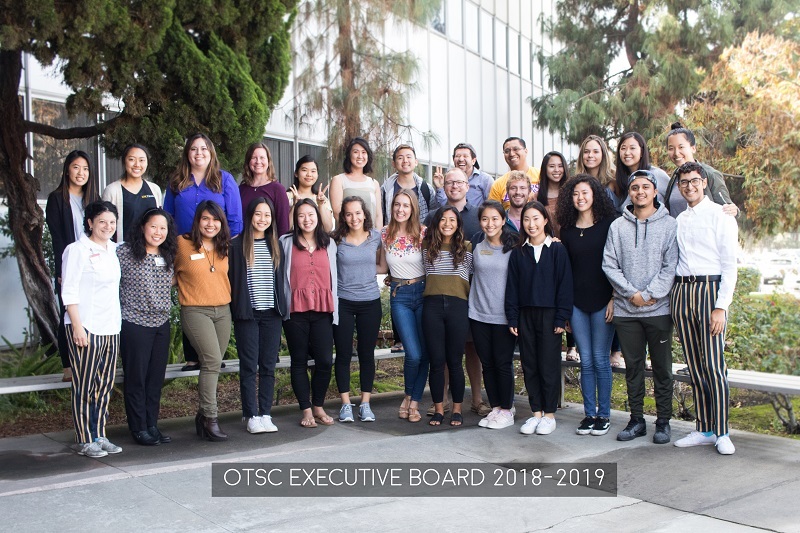 The Executive Board of OTSC includes elected representatives from other student organizations, plus a variety of other elected leadership positions. We are also blessed with the guidance of two wonderful faculty liaisons. OTSC meetings generally serve to facilitate communication between the various student organizations, as well as provide a forum in which information can be disseminated and various events can be coordinated. For instance, last April the other OTAC chair and I wanted to host a letter writing party to promote advocacy on state legislative issues. By announcing our intentions at an OTSC meeting we were able to get the word out to the whole student body, vastly increasing participation, and even got a budget approved so that pizza could be provided! I’d encourage anyone pursuing a degree in the Chan Division to find a way to get involved in OTSC. Not only is it a great way to be of service, some of my closest friends in the program have come from this type of extracurricular participation. Feel free to message me if you have any questions!